Companion Cube I’m Batman Theme There are 2 Reviews. I'm BATMAN!...and a Companion Cube. Gotham City regulations do not allow the Companion Cube to remain here, alone and companionless. Now you can take your own with you to fight crime. 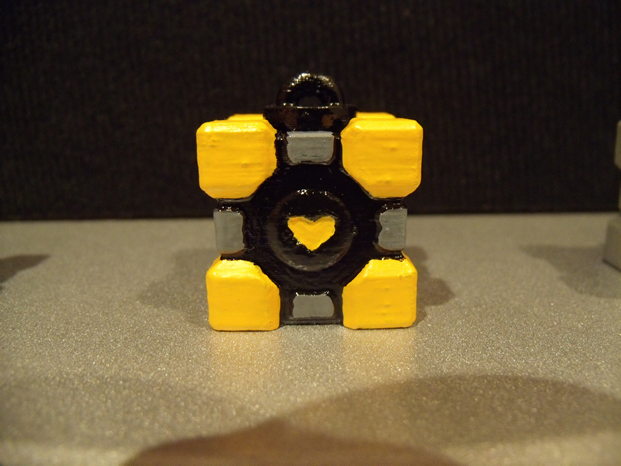 This Batman Companion Cube Charm will fit perfectly on your utility belt.